Palau. Five dollars. 2018. Silver .999. One ounce. Antique finish. 35 millimeters. Mintage: 2,500 pieces. B.H. Mayer’s Kunstprägeanstalt, Munich. 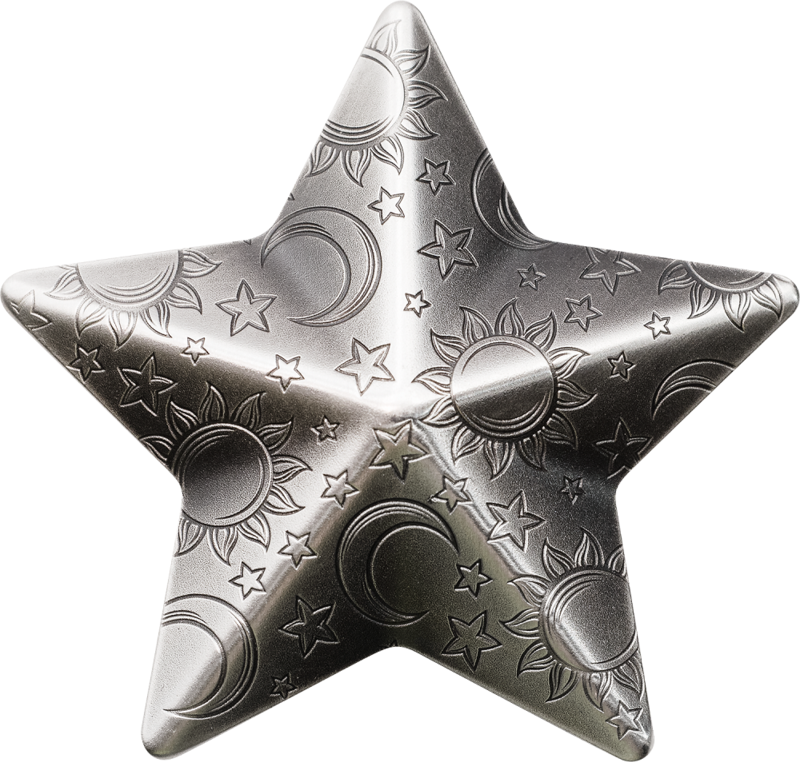 The star-shaped blank features suns, crescent moons, and stars. A die-like deepening in the middle shows the coat of arms of Palau, while above is REPUBLIC OF PALAU and 5 $. In the exergue below is 2018. The reverse features suns, crescent moons, and stars throughout. 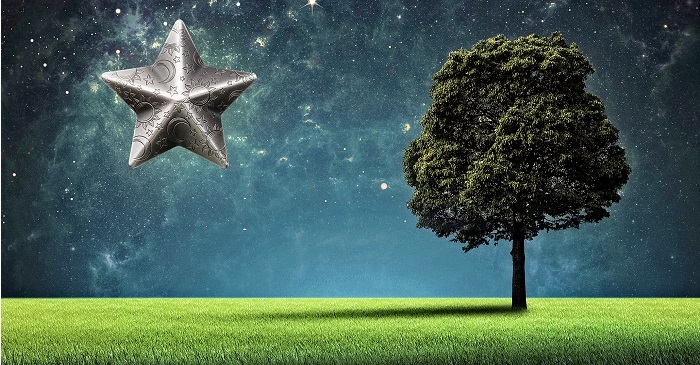 Following Silver Fortune and Silver Heart, CIT Coin Invest AG has now released Twinkling Star. 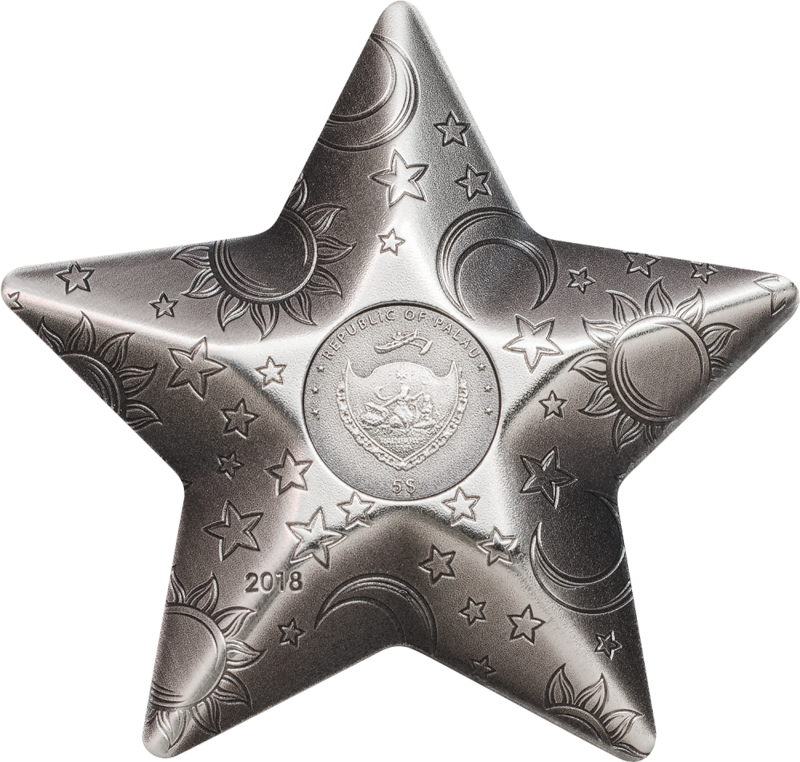 The most up-to-date smartminting technology is needed in order to produce this extravagant star-shaped coin. And it is even more difficult to add a children’s sky full of suns, crescent moons, and suns in minimally deepened relief. To achieve this, dies are required which are specifically designed and complex in their production in addition to the optimal balance of minting pressure, which is technically very challenging. The relief that is created in this process contrasts with the coin’s field beautifully due to its Antique finish. Hence, this product is more than a coin. 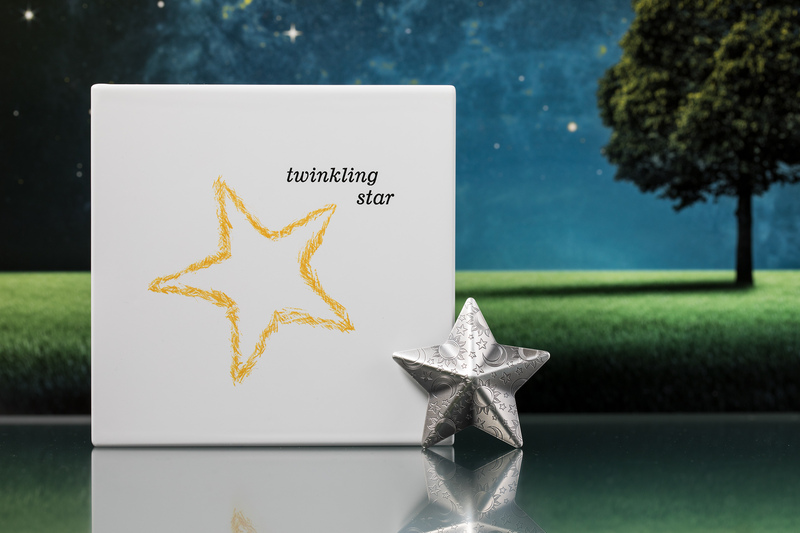 It is, just like the Lullaby coin, a perfect gift to celebrate the birth of a new earthling.